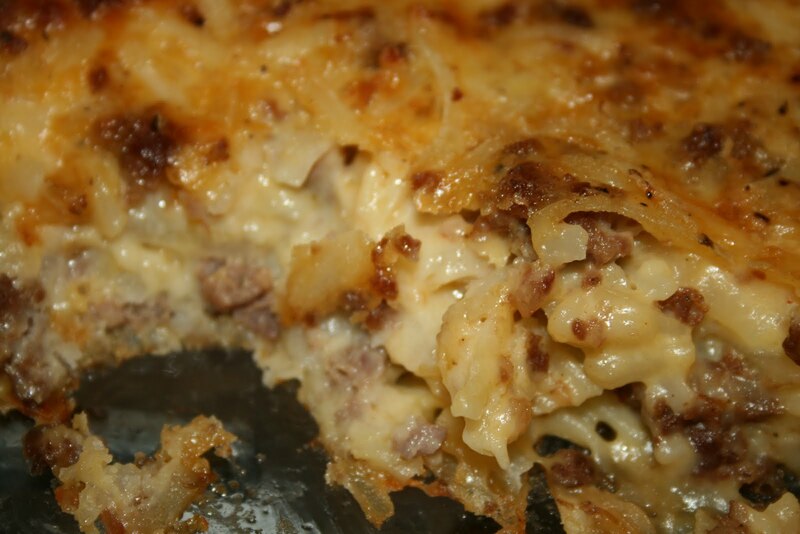 This is one of those comfort foods that is quite versatile. It really hits the spot for dinner during cold weather. My mom has even made it for breakfast when she has visitors. You can make it without sausage and use it as a side dish. Then it's a lot like the stuff from Cracker Barrel. Just a thought, if you are trying to clone theirs, make sure to use cheddar cheese instead of the Colby-Jack blend I like. 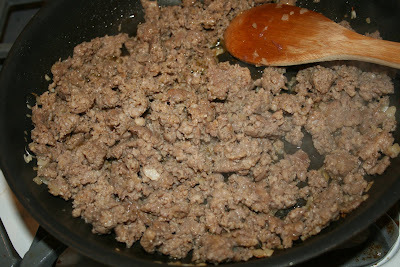 I would sautee the onions in a little butter to soften them up since they wouldn't get cooked with the sausage. I find if you use regular full-fat and full-sodium ingredients this is pretty salty and greasy. To save a few fat grams and calories, use the reduced fat sausage, "healthy" version of the canned soup, and reduced fat cheese and sour cream. I've never bothered to really look at the calorie counts, but it just makes sense overall. 1. Brown the sausage with onion over medium heat. Drain off the fat. 2. Meanwhile, combine the canned soup, sour cream, cheese, and pepper. Mix well. 3. 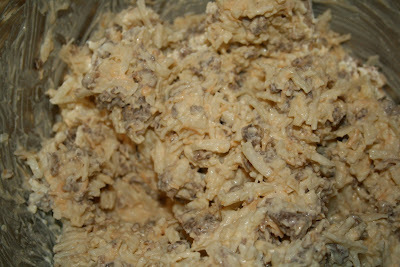 Add thawed hasbrowns and sausage-onion mixture and mix well. 4. Spread in a 9" x 13" baking pan. I like to smooth it out and add a little extra ground pepper on top. 5. 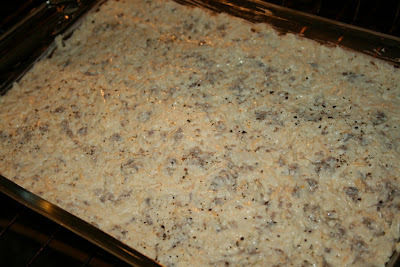 Bake at 350F for about an hour, or until nicely browned and hashbrowns are tender.